Christoph Gerigk, Damien Hirst and Science Ltd.
Why Did This Artist Spend 10 Years Creating a Fake Shipwreck? It cost him $65 million. No one is more committed to a good hoax than artist Damien Hirst, whom Vulture reports once spent 10 years and $65 million to stage a shipwreck and pretend his new art show came from ancient artifacts found in the sea. According to ArtNet News, in 2017, Hirst's show, "Treasures from the Wreck of the Unbelievable" opened in Venice. It purported to contain the lost treasure from an ancient ship captained by Cif Amotan II. But the art was fake, and so was the legend. Cif Amotan II is even an anagram for "I am fiction," reported ArtNet. But the illusion didn't stop there. Hirst then released a mockumentary on Netflix with the same title as the art show. It "documented" the discovery and collection of a trove of treasure buried on the seafloor and lost for centuries. Again, this took 10 years of Hirst's time and $65 million of his own money. That's one very real hoax. The art show was very poorly received, which is honestly putting it kindly. Outlets like Art News lambasted Hirst for the unrealistic barnacles and coral painted onto his sculptures. "They feel roughly of the quality one might find at a decent amusement park," Art News' reviewer scoffed. But where the show failed to showcase his vision in the sculptural forms, many acquiesced that the most interesting parts of the show were the stills and footage of the supposed underwater recovery process. This is easily the best feature of the exhibition. The imagery is beguiling: plumes of silt drifting off half-buried treasure, giant sculptures foregrounded by schools of fish, and raised objects shimmering in the shallows. The film is bolstered by a number of large light-box photographs scattered throughout the show, which purport to document where each artifact was found. They establish an aura of mystery that the objects fail to exploit. In contrast to the physical art show, which reveals itself fairly quickly to be fake, everything looks far more real in the mockumentary. For 90 minutes, viewers are sucked into the story of forgotten treasure and the archeologists desperately in search of all that history, uncovered with the help of financing from Hirst — who plays a relatively small role in the full film. Most of the movie is dedicated to sweeping underwater shots of divers pulling gold and bronze artifacts in the ocean's depths. This is where you get to see Hirst's true dedication. He literally sunk giant bronze sculptures — pre-covered with coral — into the sea and then paid to get them back up again. Bronze is heavy, y'all. Hirst really wanted this. 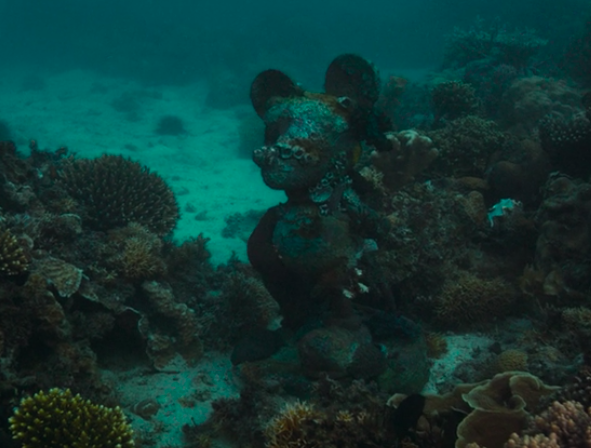 Wait, is that a sculpture of Disney's Goofy covered in fake barnacles? 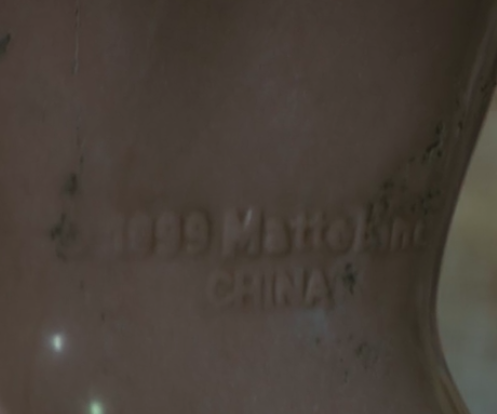 Does that sculpture have a "Made in China" tag? It's only then that viewers realize they've been duped and that these centuries-old artifacts are in no way real. 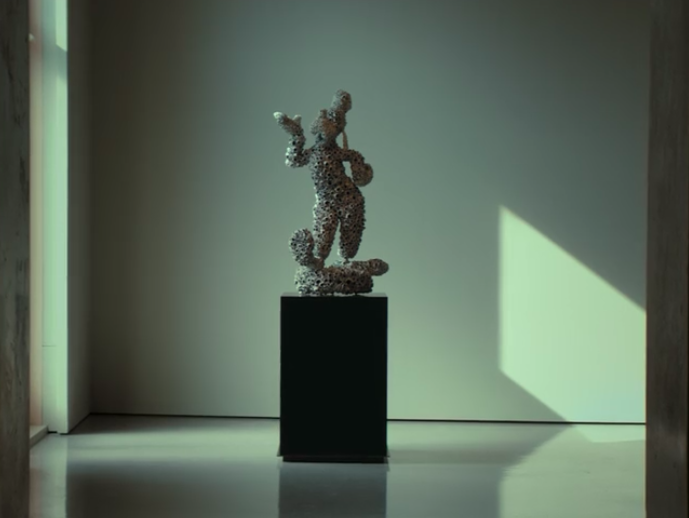 HyperAllergic reports that the real show also featured "a figure of [Transformers'] Optimus Prime, multiple Disney characters, a sword emblazoned with the SeaWorld logo" and many sculptures of celebrities, such as Kate Moss and Rihanna. Looking back at the movie, you can see the clues planted along the way. 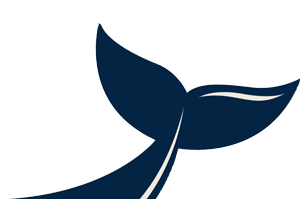 One of the divers postulates who amassed such a collection of art only to lose it at sea. "There is somebody with a massive dream and a pretty big ego behind all of this," he says — which can easily be interpreted as a nod to Hirst, who himself basically wink-winks the audience when he says, "If you believe in things in the beginning, you create things to justify their existence." "I wanted people to get it on every level. I wanted it to be deep and meaningful. I wanted it to be superficial. As an artist, the best you can hope for is people arguing, mixed reviews. Love it and hate it. If you get that, then you're on the right track. If everyone loves or everyone hates it, you're in trouble." ... the scope of the show is really quite amazing. And, if nothing else, at least he gave the submechanophobia (fear of submerged objects) subreddit more photos to post. These ones are a doozy.